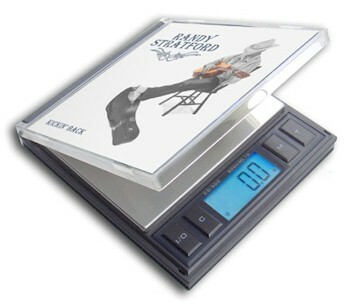 Innovative pocket scale looks like an ordinary music CD! 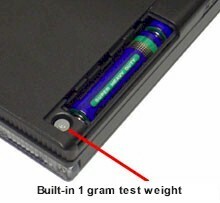 1000 gram capacity with 0.1 gram readability. Weighs in grams, ounces, troy ounces and pennyweight. With an easy to read, backlit LCD display, simple to use 4 key operation, large weighing surface. Powered by 2 AAA batteries or optional AC adapter. 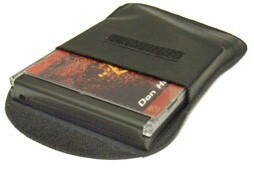 Choose from 2 CD insert styles: Rock or Rap. 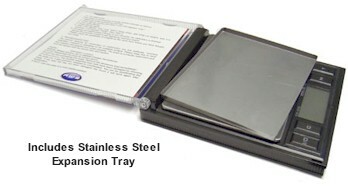 Includes a vinyl carrying pouch and stainless steel expansion tray. 2.75" x 2.75" 4.5" x 3.5"